MAGIC RULES. WE SERVE. In a darkly fantastical debut set in modern-day Britain, magic users control everything: wealth, politics, power—and you. If you’re not one of the ultimate one-percenters—the magical elite—you owe them ten years of service. Do those years when you’re old, and you’ll never get through them. Do them young, and you’ll never get over them. This is the darkly decadent world of Gilded Cage. In its glittering milieu move the all-powerful Jardines and the everyday Hadleys. The families have only one thing in common: Each has three children. But their destinies entwine when one family enters the service of the other. They will all discover whether any magic is more powerful than the human spirit. Have a quick ten years. . . .
Why Did I Listen To Gilded Cage by Vic James? 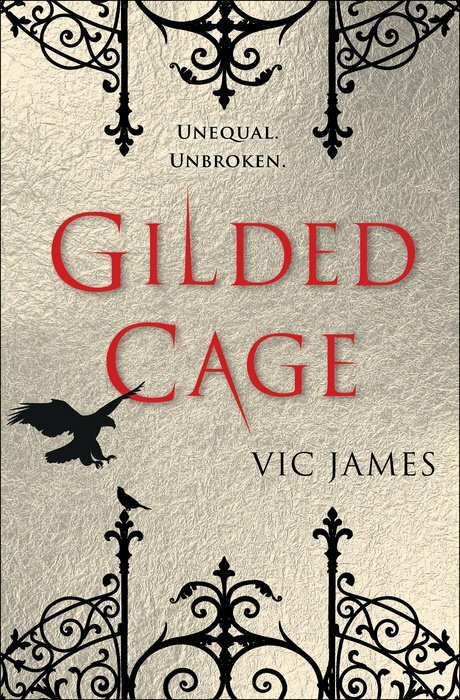 Gilded Cage by Vic James is a debut novel about a world in which some have magic and some don’t. What really sold me on reading this book was the sociology within. I am always one for reading books with complex societies. This book has got a society that is totally jacked up. When I saw that Gilded Cage was available at my library via Overdrive, I knew I had to borrow it. I like to ponder and think about things during my commute. This seemed like just the right book for doing that. So, Gilded Cage is a tale of two families so to speak. It is about the Hadleys and the Jardines. The Hadleys are an unskilled family – meaning they do not have magic. Everyone in Britain who does not have magic must commit a compulsory amount of time as a slave before they are considered a citizen and free. The Hadley parents, Abi and Daisy end up working for a magic family, the Jardines. The son, Luke, ends up at this work house which was not the original plan. The Jardines, FYI, are what are called Equals. There’s three sons and the two parents. One son, Gavar, has a daughter whose mother was a slave that died trying to escape. The Jardines and the Hadleys end up pretty intertwined, because of the Hadleys working for the Jardines. Meanwhile, Luke gets caught up in revolution. How Did I Like Gilded Cage? This book was really good, but also kind of frustrating. I was frustrated at how awful life is for the non-Equals. We do see that other nations do not follow the same structure as Britain. There’s other nations where magic is outlawed, so they don’t have this compulsory period of slavery. I found myself really on edge too while listening. You see, there is a LOT of action in this book. Sort of. Like you find yourself just hoping everything is going to end up okay for the Hadley family. It’s really especially heartbreaking when Luke is separated from them. In all, Gilded Cage really does make you ponder. I listened to the audiobook of Gilded Cage at twice the normal speed. It is narrated by Avita Jay. The audiobook is 11 hours and 33 minutes long. Honestly, it flies by. Okay, true, I listened to it sped up. However, the story never feels slow or boring. I’d probably recommend reading it physically instead of listening as I didn’t retain as much of it as I could have. Yet, I did want to continue with the story via audio and after finishing put a hold on the sequel, Tarnished City. The captivating dystopian trilogy that began with Gilded Cage continues. In a modern Britain where magic users control wealth, politics—and you—an uprising has been crushed. In its aftermath, two families will determine the country’s fate. The ruthless Jardines make a play for ultimate power. And the Hadleys, once an ordinary family, must find the extraordinary strength to fight back. Abi Hadley is a fugitive. Her brother, Luke, a prisoner. Both will discover that in the darkest places, the human spirit shines brightest. Meanwhile, amid his family’s intrigues, Silyen Jardine dreams of forgotten powers from an earlier age. As blood runs in the streets of London, all three will discover whether love and courage can ever be stronger than tyranny. How do you choose when you can’t save everyone? Why Did I Listen To Tarnished City by Vic James? Tarnished City by Vic James is a book that I ABSOLUTELY had to listen to. This book is the sequel to Gilded Cage. With the way that Gilded Cage ends, there’s no way I am not continuing. And so, as I said I above, I immediately put a hold on this audiobook at the library. I could have read a physical copy, either as an eARC or a Hardcover. I just wanted to continue reading in the same format that I had already become accustomed to, however. Now I am ready for book three to see how everything plays out and ends for the Dark Gifts trilogy. Okay, so, Tarnished City takes the dark nice of Gilded Cage and brings it up a notch. Basically the story picks up with Abi and Luke reunited for a hot few seconds. They then proceed to spend the rest of the book apart. Luke is forced to wear a golden, magical collar, given his rebellion. He’s also shipped off to a remote castle run by this sadistic lord who was said to have murdered another Equal. Abi is a fugitive from Millmoor. Daisy is still with the Jardines taking care of the baby. Gavar is getting married to another Skilled person named Bouda, who is the worst. And well, Silyen is kind of hard to really place into a category box. There’s a few storylines and a LOT going on. How Did I Like Tarnished City? The ending to this book is really wild. I mean, there’s something really dark that happens and I was just hoping against hope. Then there’s kind of this zero hour thing. It’s just really tense. I enjoyed reading that. Granted, I am still looking back at this book thinking about it and reflecting on it. It is very grim. I liked it, but I also wish that I had physically read it so that I retained more of it. 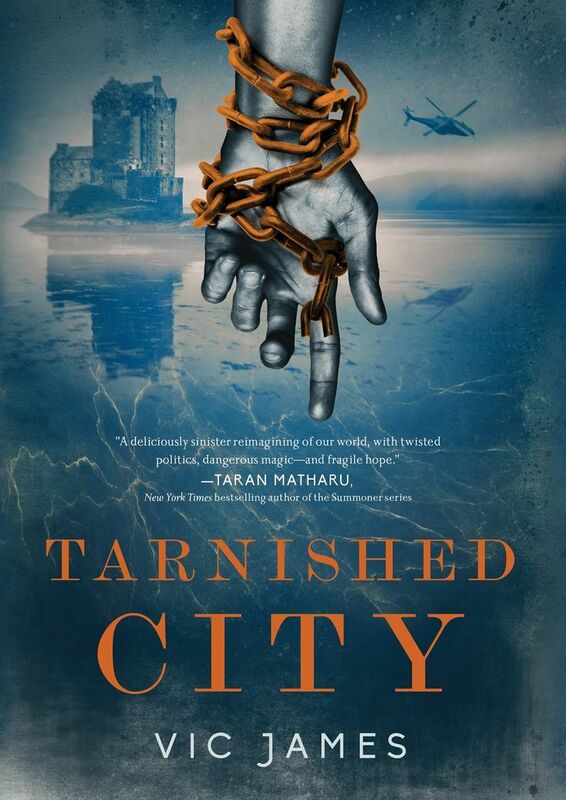 Avita Jay also narrated the audiobook of Tarnished City. She does a nice job. I also listened to this one sped up — this time at 1.75 speed. It’s a relatively decent audiobook. It is well produced. There’s nothing really wrong with it. I am not sure how I will experience the next book in this trilogy though. The audio was good, but I am leaning hard towards physically reading it. I have only read these two, so I can not vouch for the audiobook versions. I thought the first book was okay. I thought the second book was amazing. I like the darkness to it, and it really did go into a few directions I did not see coming. It will be interesting to see how the series wraps, whether it will maintain that dark edge or if it will wrap up like a fairy tale. I am glad to see they stopped marketing it as a YA novel. The first one was, and I did not understand why except for the fact that Abi and Luke are teenagers.